(31) Photos Printable Brochure Apply For Credit Schedule A Test Drive Text Us Now! ABSOLUTE STEAL ON THIS CAMPER!!!! ITS BETTER THAN NEW IT HAS CAMPING SUPPLIES ALREADY IN IT!!! JUST ADD DISHES AND CLOTHS AND TAKE OFF!!!! IT HAS A $4000 OPTION PACKAGE WHICH INCLUDES LOTS OF EXTRAS!!! REAR LUGGAGE RACK!!! POWER AWNING!!!! OUTSIDE STEREO!!! TV HOOK UPS INSIDE AND OUTSIDE!!! USB PORTS EVERYWHERE ON INTERIOR!!! LOOKS BRAND NEW!!!!! LOOK AT OPTION LIST AND LIST PRICE OVER $20 GRAND!!!! TO VIEW A FREE CARFAX REPORT VISIT OUR WEBSITE >> WWW.A-DAUTOSALES.COM << THANKS FOR LOOKING!!! 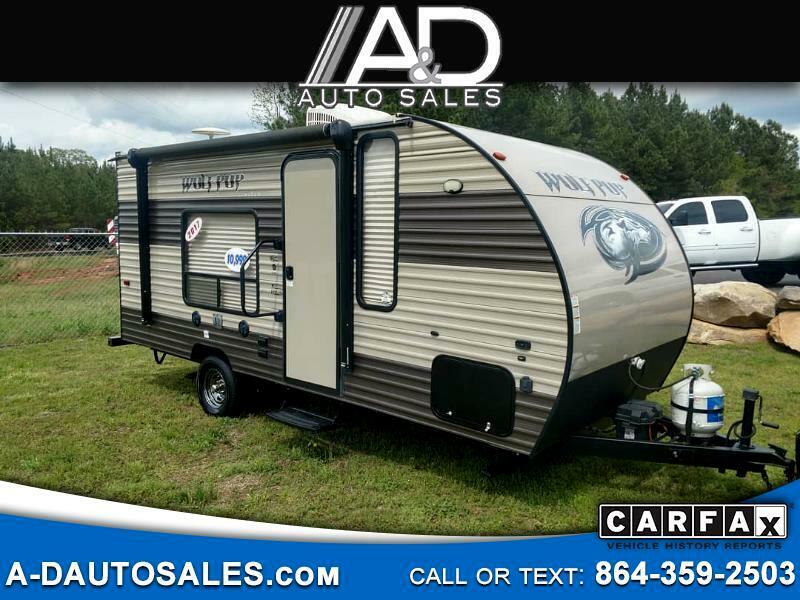 Message: Thought you might be interested in this 2017 Cherokee Trailer Wolf Pup.